Whether weeds or fall leaves have taken over your lawn, we can help restore your yard to its former beauty. Typically, a clean up can be completed in less than a day and often results in a drastic improvement that can be enjoyed that same evening. In order to best serve our customer’s needs, we offer seasonally appropriate clean up services for both spring and fall. In addition, we offer clean up services tailored to specific projects. With winter finally coming to an end, we understand our client’s desire to be outdoors. Our spring clean up removes all branches, and other debris that may have accumulated over the winter and creates a welcoming environment for all of your outdoor activities. After the summer is over and the fall begins, our clean up service is designed to remove any weeds, leaves, and other yard debris that may have invaded your lawn. 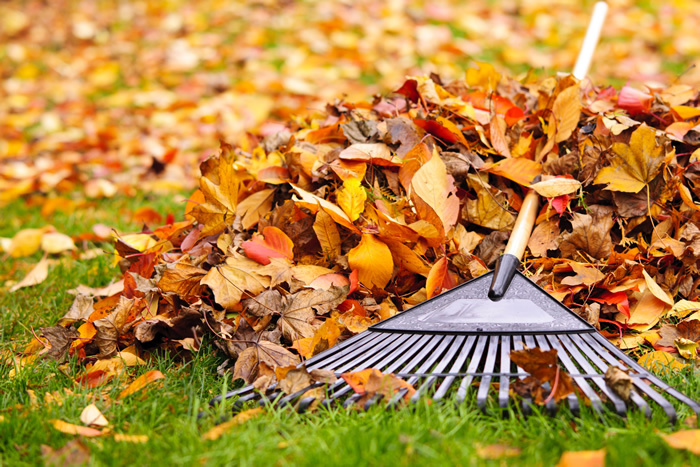 Our staff will work to remove the piles of colored leaves that often become unmanageable and ensure that your yard is as neat and clean as it can be going into winter. At Basics Landscaping, we are committed to meeting our customers needs any time of the year. With that in mind, we offer project specific clean up services that are specifically designed for a specific location regardless of season. Whether it’s a recently acquired vacant lot, foreclosed home, or simply an unkept property, we are prepared to help. Our staff is readily available to respond quickly to any lawn clean up need in a timely fashion. Regardless of the season or project type, our staff is dedicated to providing the most effective and timely clean up services available in north Georgia. We look forward to meeting your needs any time of the year and working with you to make your lawn beautiful once again. Contact us today to get more information on our landscape cleanup services!